They’ve each had their day with the Stanley Cup. They now have their names engraved upon Lord Stanley himself, and have rings on their fingers. And now, your reigning, defending, undisputed Stanley Cup Champions, the Washington Capitals, are ready to kick-off another hockey season and get to work on defending their title. The start of the season is going to be bigger and better than ever before! Get your Red on; it’s time to rock it. So, here we are. After a summer of celebrating the Washington Capitals Stanley Cup victory, we must now begin the climb to the top again. It won’t be easy. But will it ever be fun! We begin tomorrow night in the newly remodeled Capital One Arena, when game 1/82 sees the Capitals square-off against the Boston Bruins. And all day long, you’ll be able to feel it in the air all across the DC, the boys are back in town! On Tuesday, the Capitals released a full schedule events for banner-raising Wednesday (here). From the early hours of the day, the Caps and their fans have a busy schedule. Let’s take a look at the pregame festivities set to take place on October 3rd, 2018. The Capitals will partake in their first morning skate of the regular season at the MedStar Capitals Iceplex. Morning skates are free and open to the public. 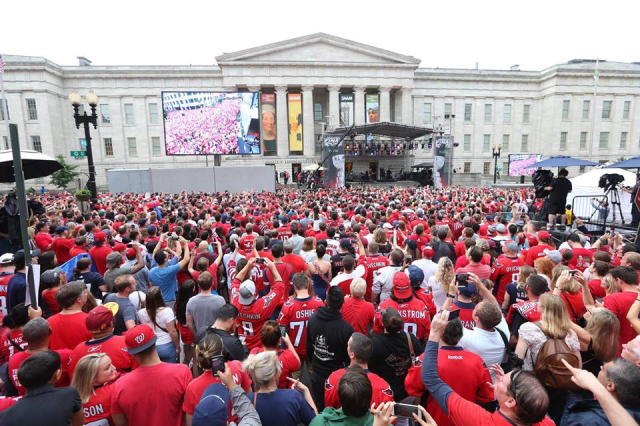 At 11 am, the Washington Capitals team store will begin operations for the day, and will continue to sell merchandise to the public until the conclusion of the evening’s game. The store was remodeled in the off season as was the arena, and features a new, more central entrance on F Street. 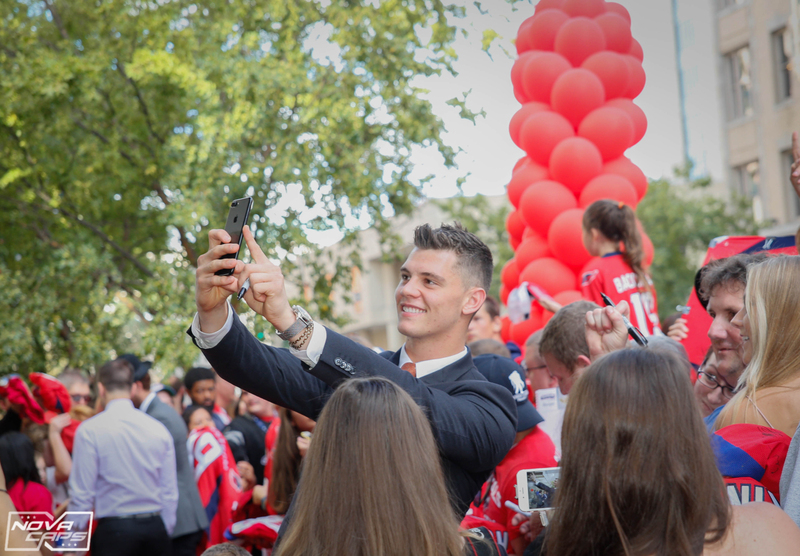 The Capitals players will begin to arrive at the arena at 4 PM and will continue to do so until roughly 5:30 PM. The event will be covered live by NBC Sports Washington. Players, Alumni, and a certain bipedal bald eagle we all know and love will be introduced and escorted down the carpet. After announcement, the players will take some time to interact with the fans in attendance. 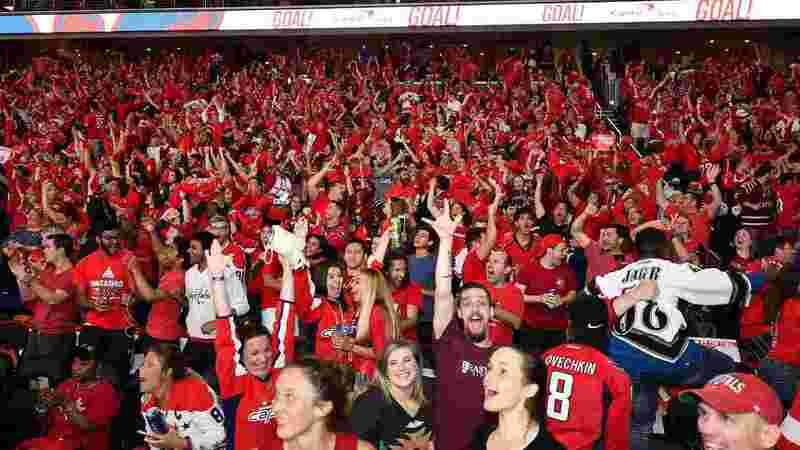 The Capital One Arena will be broadcasting the banner raising ceremony and the entirety of the game against Boston on a Jumbo-tron on G Street for fans unfortunate enough to not be able attend the game. Please note that this viewing party will disrupt traffic patterns and plan accordingly. The moment we’ve all been waiting for! At exactly 7:15 tomorrow evening, our first ever Championship banner will ascend to the rafters of the Capital One Arena, will it will hang for the rest of the certain future. The official start to the 2018-19 season! The Boston Bruins had better be ready to face the Stanley Cup Champions in a critical game one. The players will be introduced individually prior to puck drop. Upon leaving the Capital One Arena, fans will receive a replica Championship Banner. One per guest, and re-entry is not allowed. Distribution will begin at the start of the third period of play. And that will see the conclusion of the Day One excitement. The Capitals will be on the road shortly thereafter as they face the Pittsburgh Penguins in their respective home opener the following night. What event are you most excited for? 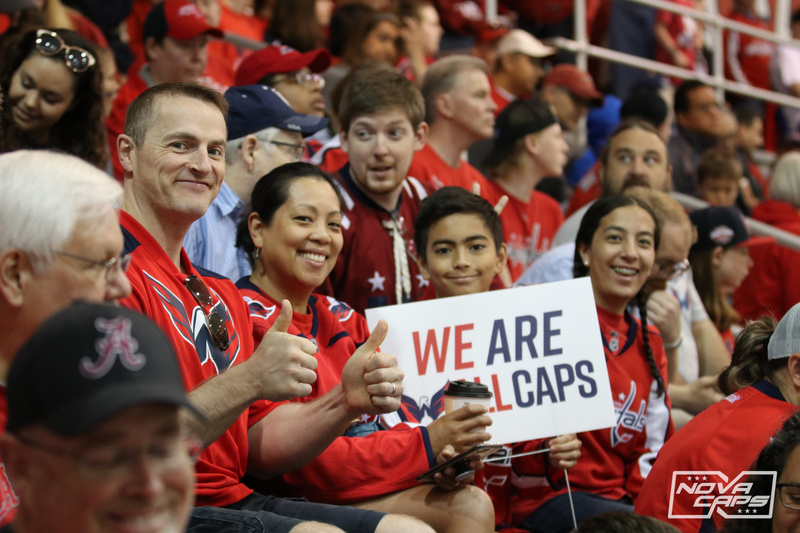 Sound off in the comments section below and stay tuned to NoVa Caps for the latest Washington Capitals news as the 2018-19 season looms in the very near future. Full Capitals media release is here. This entry was posted in News and tagged Boston Bruins, Capital One Arena, Medstar Capitals Iceplex, Pittsburgh Penguins, Stanley Cup, Stanley Cup Finals, Stanley Cup Playoffs, Washington Capitals. Bookmark the permalink.